Applicants for homelessness assistance who are aggrieved by a local authority’s discretionary decision against their interests, can request a review of that decision. These reviews are an incredibly important part of the homelessness decision-making process – a negative decision made by a local authority can leave an applicant with what one Judge has described as the “mark of Cain”. An applicant who does not seek a review cannot appeal a negative decision; if the applicant does appeal their decision, but fails to make all the relevant points, judicial guidance is that such matters cannot be raised on a subsequent appeal. So, both substance and procedure are in play at this crucial stage of internal review. 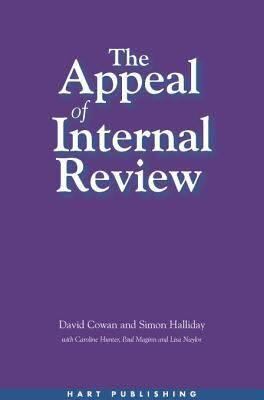 Since the early 1990s, myself and my colleagues Caroline Hunter and Simon Halliday, (both currently at York Law School) have conducted research in to homelessness internal reviews—on which we published The Appeal of Internal Review. Law, Administrative Justice and the (non-) Emergence of Disputes (Hart 2003) and ‘Adjudicating the implementation of homelessness law: The promise of socio-legal studies’ (2006) 21(3) Housing studies 381. Our research has been both qualitative and quantitative.A central reason for our continued research effort has been that nobody – government or other agency – keeps any data on the use of the internal review process. This is an inexcusable oversight. So much data is kept on so much decision-making, especially around homelessness (as local authorities must make quarterly returns to the Department for Communities and Local Government, “DCLG”). The only reason I have heard in over 20 years of our enquiries is that the review process falls between two government departments – the DCLG and Ministry of Justice. The only dataset is the one that we have created over the years, in what is now a large SPSS file. We have self-funded this work, had some of it funded by the Nuffield Foundation, and most recently received funding from the University of Bristol Law School. Undoubtedly, it is a lot cheaper to run surveys in 2014 (the date of the last survey) because they can be run online. We have also had the benefit over the years of some excellent research assistance, most recently by the School’s doctoral student, Abi Dymond. A number of questions have animated our work, such as why apparently similar local authorities, with the same number of applications for homelessness assistance, would have vastly different numbers of requests for a review of a negative decision. From our current vantage point of analysis of the 2014 data, we can demonstrate that, over the years, more local authorities now have fewer review requests. This might be explained by the decline in actual applications for homelessness assistance. However, the key point is that the number of requests for a review of a decision are tiny compared with the numbers of applications. This raises a significant question for administrative justice scholars, who have pioneered the informal resolution of low level complaints about decisions as a form of proportionate dispute resolution. In principle, this seems like the right response, particularly when one is dealing with vulnerable persons, such as those making applications for homelessness assistance. However, these low level decisions actually concern high level legal knowledge – there is considerable case law on homelessness decision-making both within public law generally and more specifically. Applicants might well need legal advice to challenge these decisions. In an age when skilled and experienced housing lawyers are in short supply and generally underfunded/over-worked, it is this gap which now also needs to be filled. In the meantime, my colleagues and I will continue engaged in academic research in this important area of housing policy. * You can read Dave Cowan’s most recent thoughts on the legal complexity of homelessness law in ‘The judicialisation of homelessness law: a study of Regulation 8(2), Allocation of Housing and Homelessness (Review Procedures) Regulations 1999’  Public Law 235-253.